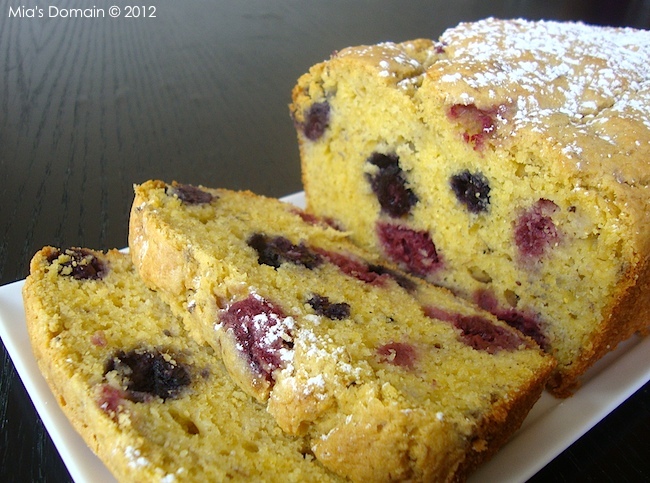 Combine flour, sugar, baking powder, lemon zest, mixed berries, and salt in a large bowl. Set aside. Whisk milk, eggs, bananas, lemon juice, and butter in a separate bowl. Fold wet ingredients into dry ingredients. It was a lovely loaf. Thank you!